Abstract: Photonic time stretch is a well-established real-time optical technology. Using dispersion, the spectral modulation of a broadband optical pulse is stretched to alleviate the bandwidth bottleneck present in the subsequent analog-to-digital conversion and digital processing. The recent warped time stretch generalizes this concept with tailored non-uniform dispersion profiles, reshaping the wideband optical information arbitrarily and in real-time. The approach provides a design pathway for translating a priori knowledge of signal spectra into context-optimized data acquisition and processing. This has wide-ranging applicability, including optical pulse reshaping, feature extraction, network coding, data compression and optical phase retrieval. Here, we will analyze the effects of an arbitrary dispersion profile on wideband optical signals, and show how its proper design provides full-field control over critical parameters, e.g. time-bandwidth product, SNR etc. We first show some theoretical results, then demonstrate the applications of warped stretch to both optical and digital image compression, as well as propose the concept of SNR engineering for optical spread-spectrum telecommunication systems. 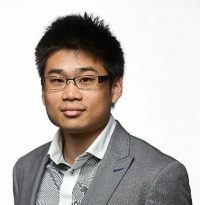 Biography: Jacky Chan is a Ph.D. candidate in the research group of Prof. Bahram Jalali at UCLA. He has served in the OSA and SPIE joint student chapter as treasurer in 2015 and became the chapter president in 2016-2017. Since joining the Jalali group in 2012 for his Masters degree on fluorescence lifetime measurements, his more recent work now concerns the theory, effects and applications of tailored dispersion profiles in warped photonic time stretch. His research interests include ultrafast optical systems, data acquisition and analytics, real-time image and signal processing, and spectroscopic sensing and imaging.